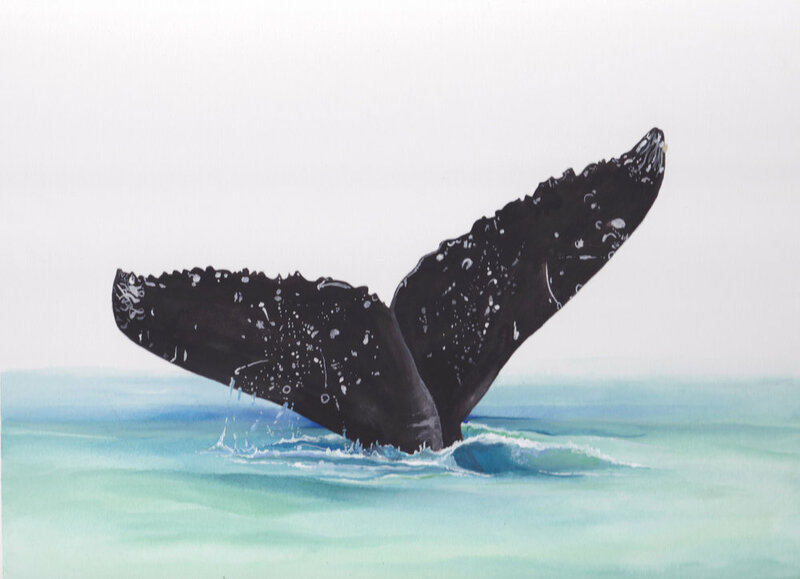 "Lived to tell the Tail"
Humpback whales are a conservation success story of sorts. 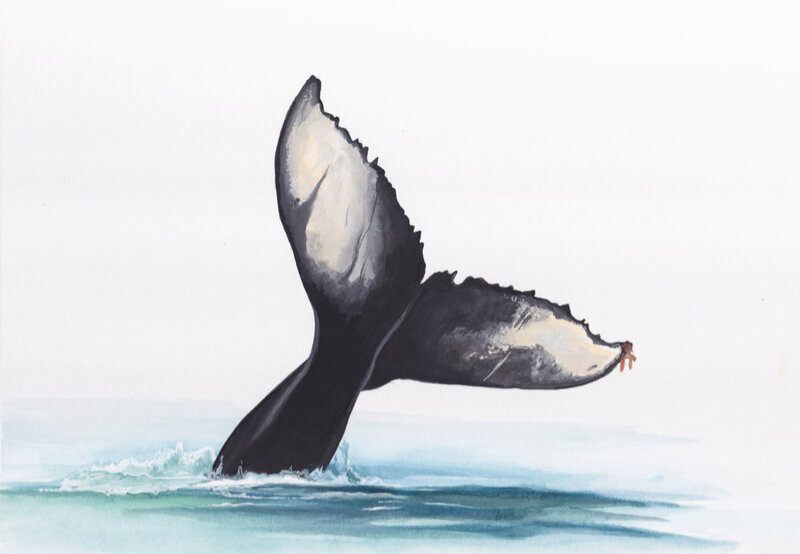 Across the globe they were hunted by commercial whaling fleets for over a century, and in the North Eastern Pacific this slashed their numbers from tens of thousands to less than 1500 individuals. They have started a recovery from whaling, but they now face different threats, including entanglement in fishing gear. 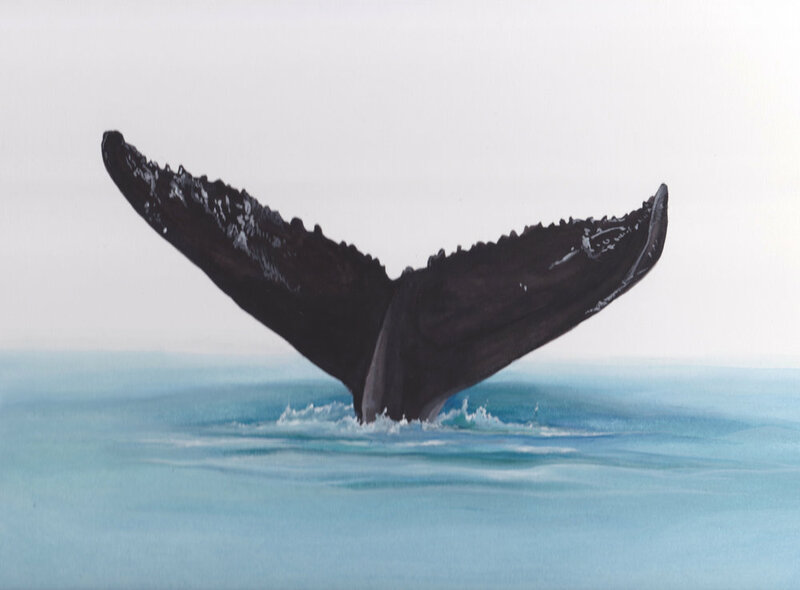 Since the early 2000s there has been a significant increase in the number of humpback whales off the southern British Columbia coast, and with more humpbacks means more whales finding themselves getting entangled in fishing/crabbing/prawning gear. 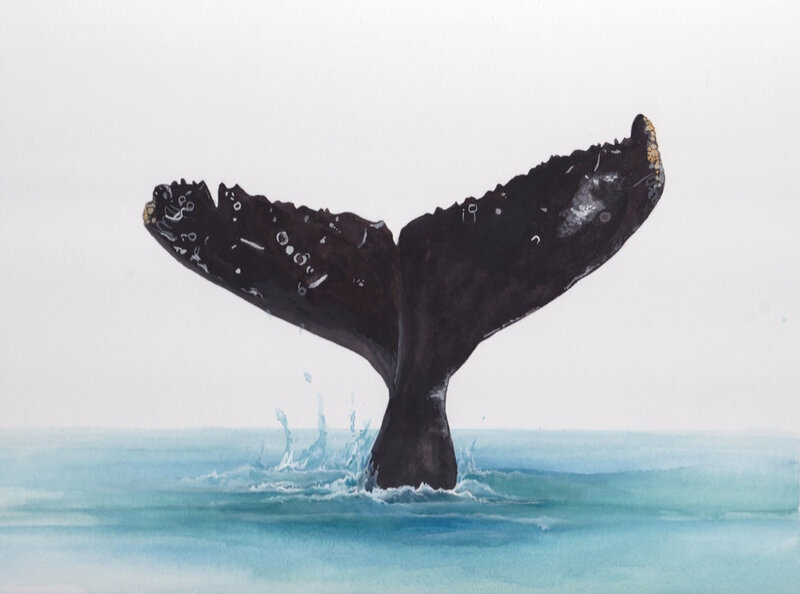 By careful observation of photographs, local researchers have noted telltale scars on many humpbacks that demonstrate prior entanglement events. There seems to be a lack of understanding or even compassion for the significant damage the “fishing” industry can have on the health of the oceans. 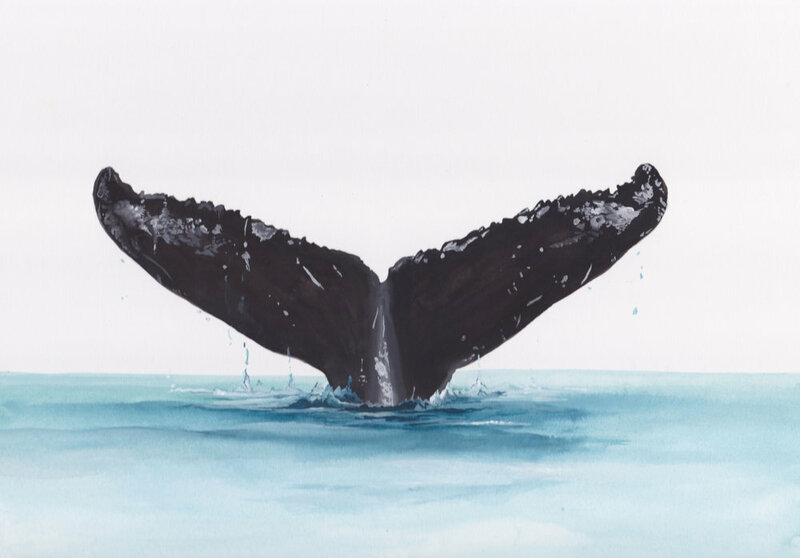 Since humpback whales are large, charismatic mega fauna that people care about, they can be key ambassadors for the issues presented by our global, industrial fishing complex. 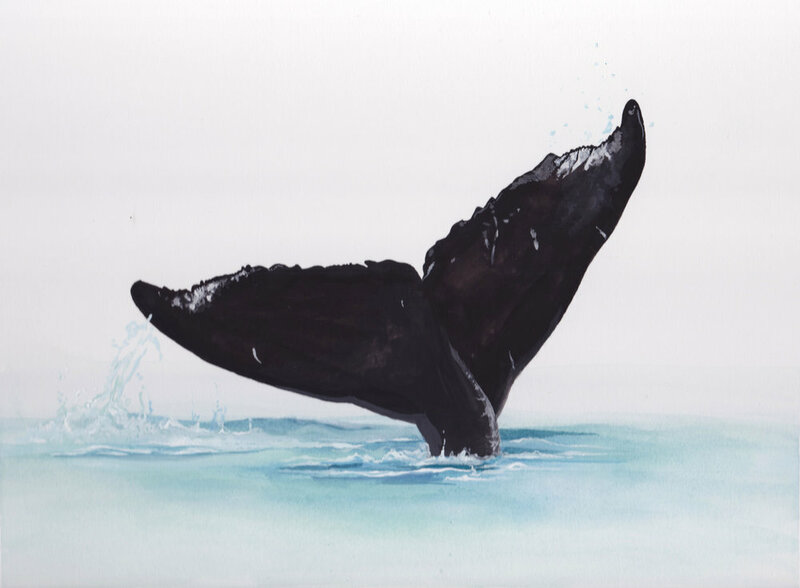 This project is a natural progression of my current artistic subject matter and work with whale identification, photography, and whale watching. 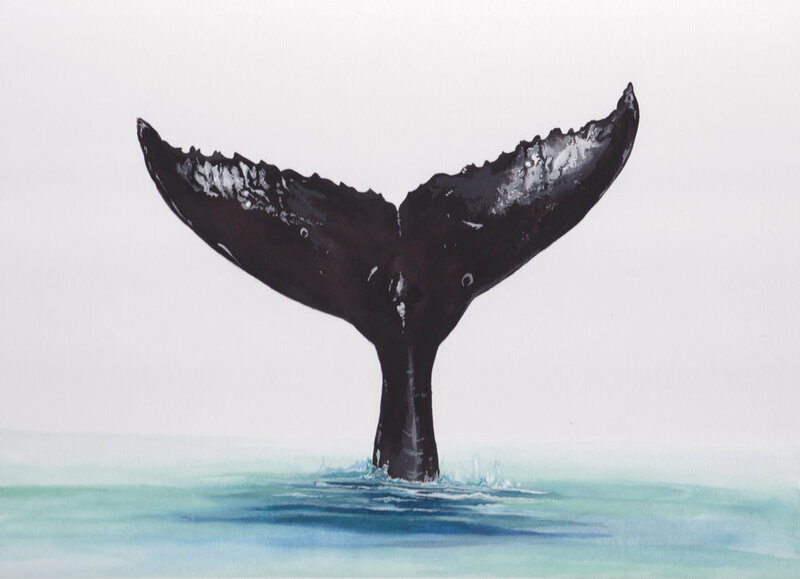 Presented here are paintings that portray the lucky whales who survived their ordeals with fishing gear. Many are not so lucky. 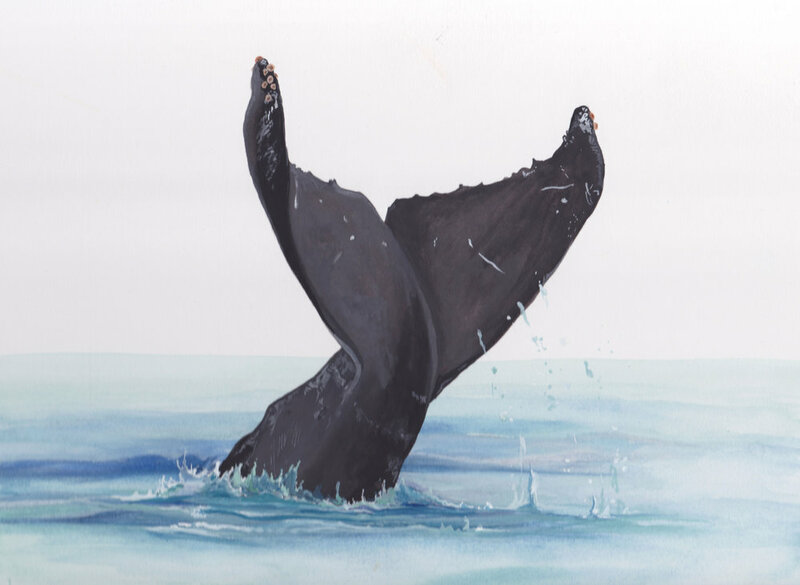 I graciously thank the Marine Education and Research Society for their tireless efforts in documenting the whales and for the data and reference material used in the making of this project.